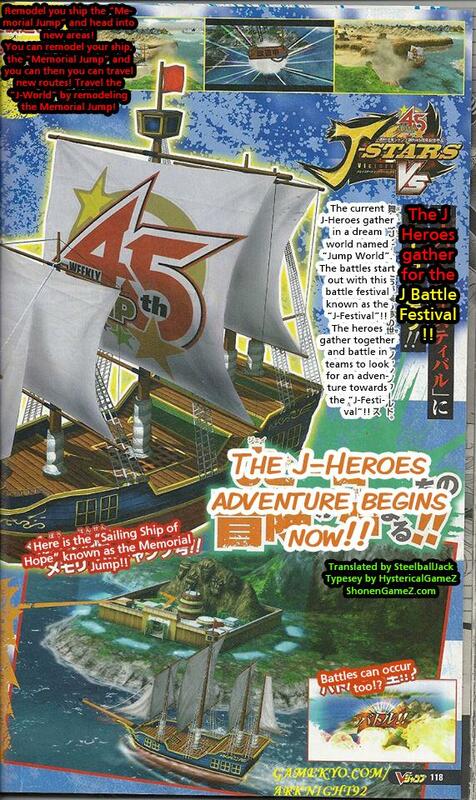 Some of the new J-Stars Victory VS scans have been translated! 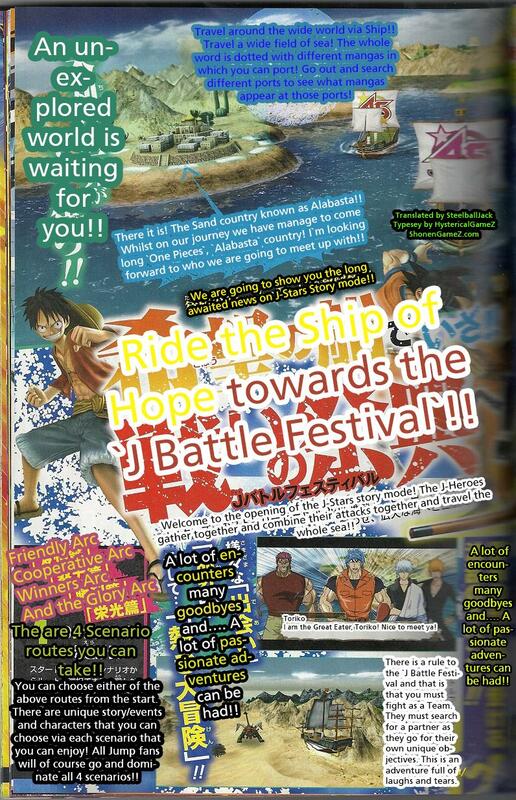 Below are two of the newly translated scans showing off details of the Story Mode! I was kinda hoping they would add a group of villains from various series that would team up and give all these heroes some hell in Story Mode, but so far it seems like it’s just gonna be a trip of friendship and light rivalry, that’s a bit of a disappointment. But thanks for the translation guys, much appreciated. Yes, I too hope Hisoka will be the first in a line of villains to be revealed. Surely they could add me in there as well, but I doubt they will, I mean these heroes needs to at least stand a chance right? My The World would end them all in one blow. Just like an any adventure they will probably add strong bonds between each team in certain parts of story mode where one dies or is koed for a while hence the sadness part. Where is the other scan that will be translate?